Forces are all around us and affect everything we do. 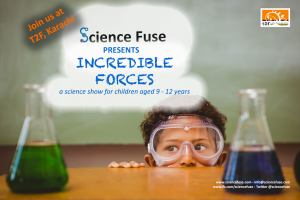 Join us for an hour long show where we explore the world of forces with everyday objects and show you fun demonstrations about motion, fire and rockets with the help of an incredible scientist who lived almost 300 hundred years ago. You’ve probably read about these things in textbooks or heard about them from your teachers but here’s a chance to experience science in action. 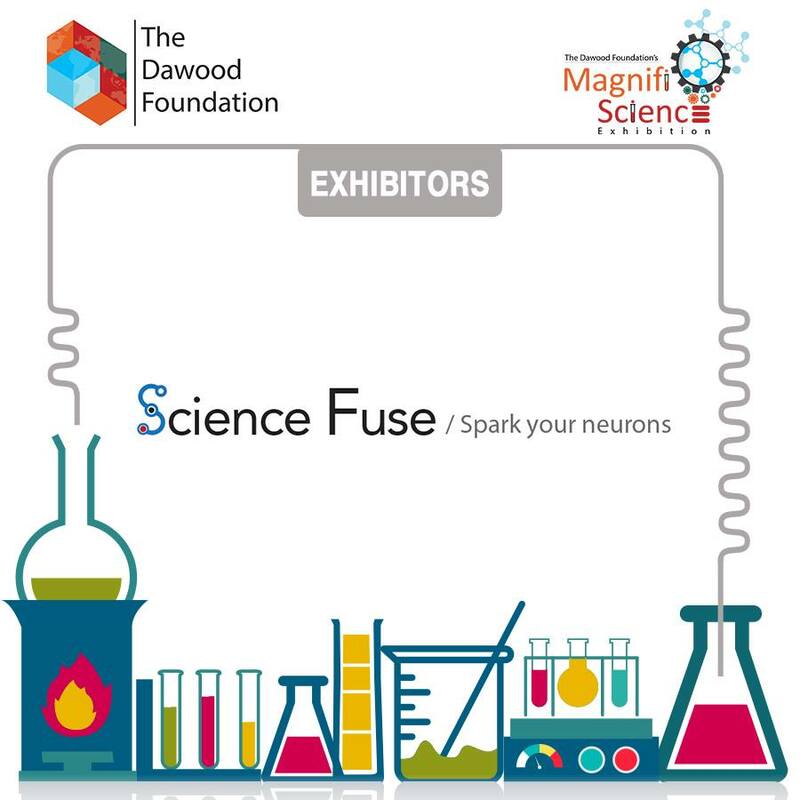 We are excited to announce that Science Fuse will be exhibiting at the Magnifi-Science, Pakistan’s first Science focused event organised by the Dawood Public Foundation, in Karachi. Entry to the exhibition is free for all so come join us for some amazing fun filled days. Plot # ST-1, Dawood Cooperative Housing Society, Bahadurabad, Karachi. Twelve-year old Gul Rukh woke up by the sound of shuffling feet around her and the morning lights piercing in through the windows. Around her, the Malik household was waking up to a perfect Sunday morning. Gul Rukh was in for a long day though as the Maliks were hosting a big ‘dawat’ tonight and she would be helping Mrs. Malik make all the preparation for it. Her spirits dampened as she imagined a long day in the kitchen, scrubbing huge piles of dirty dishes and ladling endless cups of tea for the guests. A sharp sound emerging from the mobile in her pocket suddenly made the morning seem a bit cheerful. 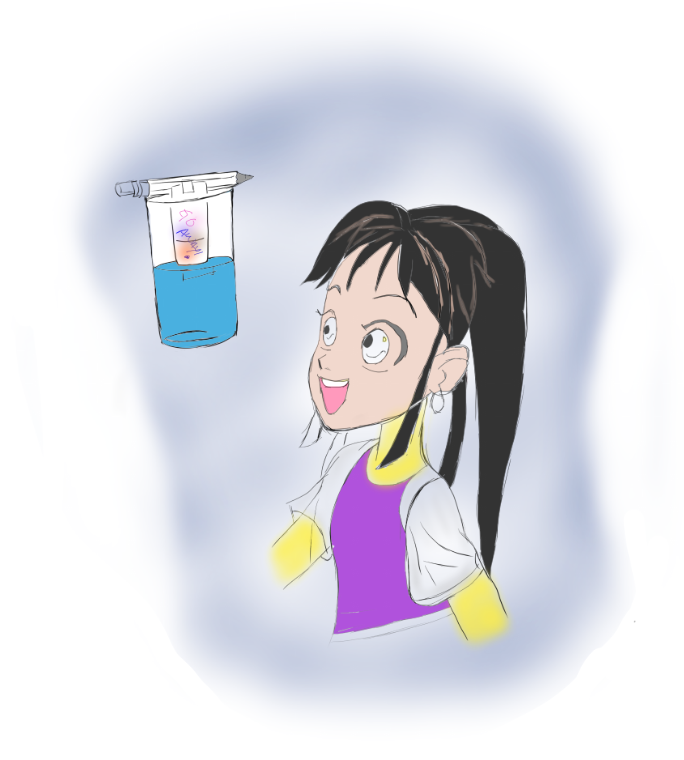 She glanced anxiously at the adults around her to see if they had noticed the sound but they seemed oblivious to it. She rushed to the bathroom and fished out an ancient-looking Nokia from her pocket – it was a parting away gift from her science teacher Miss Ayesha. Gul had left her village, school and friends to come work for the Maliks in the megacity Karachi. ‘Good Morning Gul, I hope we can chat for a while before you start your day’ read Miss Ayesha’s message. Gul started typing a reply slowly as using a mobile phone was still a novelty for her. The phone had helped ease the terrible ache she felt for her school friends back home and their shared joy for Miss Ayesha’s science lessons. Miss Ayesha’s recent addition to the local girl’s school in their village had injected a great deal of joy into the girls’ otherwise dull school life. Each morning they waited eagerly for her to pull out props from her canvas tote bag. 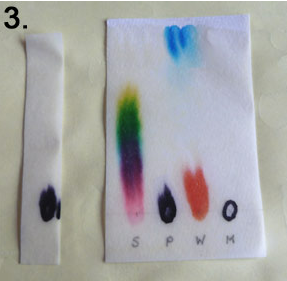 She used these to kick off her lessons with either a fun experiment or a captivating story featuring exciting elements from the world science. Being miles away from home, Gul was glad she had a way to stay in touch with her favorite teacher and school friends. ‘I’m up and have lots to do today but I get so happy when I receive messages from you during the day’ replied Gul. ‘I hope the mobile hasn’t landed you in any trouble Gul’, responded a worried Miss Ayesha. ‘No it works like magic, none of the adults can hear my phone ringing or receiving messages. It’s my secret friend here’, replied a chirpy Gul Rukh. ‘I’m so happy to hear that, but remember this will not happen around everyone. Just be careful while using your mobile around people under the age of twenty’, wrote Miss Ayesha. ‘Yes I’m always careful around the Malik children, Shahzwar and Sarah as they are my age. But I have to run now. I can hear Mrs. Malik calling out for me. I look forward to reading your messages during the day Miss Ayesha.’ Gul typed in before stuffing her secret friend deep into her pocket and hurrying off to the kitchen. Is Gul Rukh’s mobile really magical? Why can’t the adults hear the sounds from her mobile? To understand how the special ringtone in Gul’s mobile works we need to understand how sound is produced and what sound frequency is. Sound is the energy things produce when they vibrate (move back and forth quickly). If you bang a drum, you make the drum’s tight skin vibrate at very high speed (it’s so fast that you can’t usually see it). 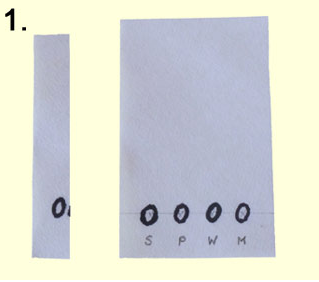 When the skin moves up, the air is squashed together (compressed) and the air pressure becomes higher than normal. When the drum’s skin moves down, the air expands and the air pressure becomes lower than normal. These pressure differences in the air travel away from the surface of the drum, like ripples in a pond. So if something is making a sound, some part of it is always vibrating, even though you might not always see the vibrations. Vibrations cause molecules around them to compress and stretch alternatively producing sound waves. How frequently a wave oscillates between these two states is called its frequency and it’s measured in Hertz. The faster the sound wave oscillates, the higher pitch it has. High-pitched (high frequency) sound waves can be pictured as being squashed closer together with fewer gaps between the waves. However, low-pitched sounds have wider gaps between waves. According to Gul Rukh, the adults can’t hear the sounds coming from her mobile. How is that possible, aren’t all humans capable of hear all the sounds produced around them? Well we humans may think of the world as a noisy place but we can in fact only hear a small proportion of the sounds around us. Many of the sounds that animals emit are outside the range of our hearing. In the same way not all animals are able to hear all the sounds that humans can. Consider dog whistles, which canines can hear but we can’t. That’s because dogs’ ears have evolved to detect such high-frequency sounds. Similarly, it has recently been discovered that elephants communicate over long distances using super-low- frequency sound that we’re also unable to hear. The human hearing range is between, 20 to 20 000 Hertz. To give you an idea, the speaking voice of a woman is generally between 165 to 255 Hertz. But why is it that only adults couldn’t hear the ringtone on Gul’s mobile? And why did Miss Ayesha warm her to be careful while using the mobile around people younger than twenty? There are thousands of hair-like cells found inside your ears that are responsible for picking up sounds of different frequencies and sending signals to the brain where they can be processed. As you age, the continual exposure to noise and loud sounds damages these cells and it becomes impossible for you to hear certain high frequency sounds, which you could hear when you were younger. So unlike other body cells, your ear cells won’t last forever and as you grow older higher sound frequencies will start falling out of your hearing range. This process is called presbycusis, the onset of which is sometimes observable in people as young as eighteen. Presbycusis happens as our ears age naturally, so it’s nothing to be alarmed by. Would you like to test out how old your ears are? 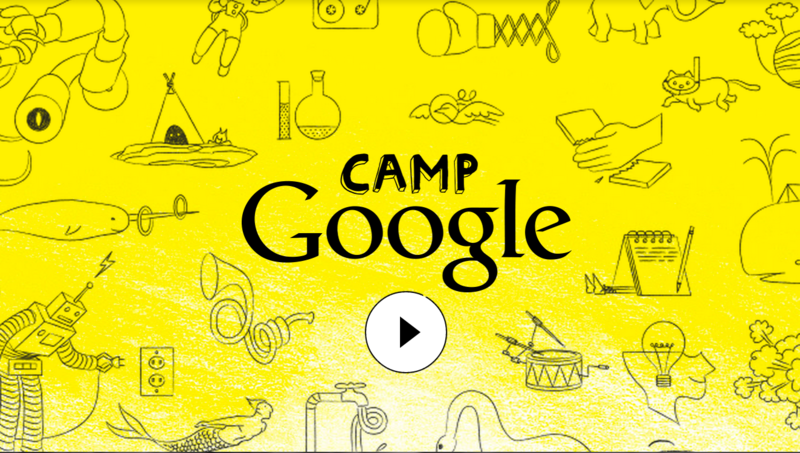 Or maybe download your own secret ringtone, which adults can’t hear? You can test out sounds of different frequencies on our website to find out how old your ears are. You can also test these on your friends, grandparents, younger and older siblings or even your dog to find out which sound frequencies they can hear. 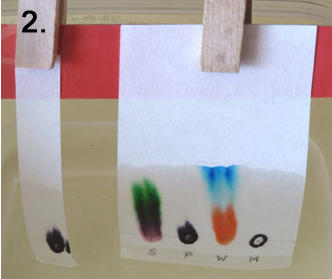 Visit our website to think and work like real scientists as you perform this exciting experiment. And while you’re at it why not download a secret ringtone, which can’t be heard by adults above a certain age. 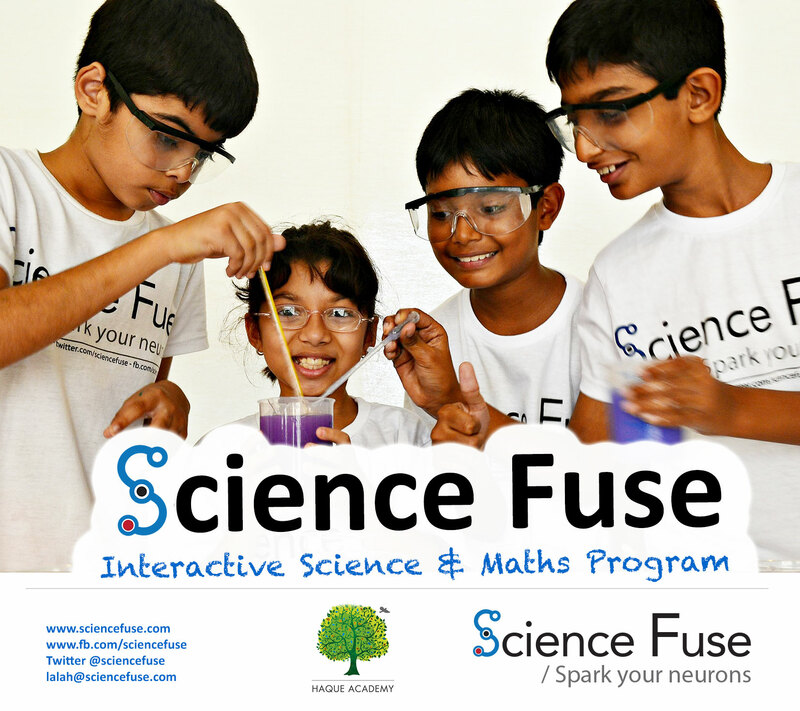 If you don’t believe us, check it out for yourself at: www.sciencefuse.com.